Neighbours is an Australian television soap opera. 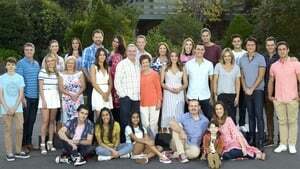 The show's storylines concern the domestic and professional lives of the people who live and work in Erinsborough, a fictional suburb of Melbourne, Victoria. The series primarily centres around the residents of Ramsay Street, a short cul-de-sac, and its neighbouring areas, the Lassiters complex, which includes a bar, hotel, cafe, news office and park. Neighbours began with three families created by Watson – the Ramsays, the Robinsons and the Clarkes. Watson said that he wanted to show three families who are friends living in a small street. The Robinsons and the Ramsays had a long history and were involved in an ongoing rivalry.